Columbus' crossing of the Atlantic, Mann says, marked the start of a new age. camera (AP Photo) Italian-Spanish explorer Christopher Columbus is shown in this work by Italian painter Sebastiano Del Piombo. Columbus' arrival in the Americas sparked the globalization of animals, plants and microbes. A recent book takes a closer look at how items from the New World, such as potatoes, guano and rubber, quickly and radically transformed the rest of the planet. Tobacco, potatoes and turkeys came to Europe from America. In exchange, Europeans brought wheat, measles and horses. But who ever thinks about earthworms? Yet they, too, were brought to America by Europeans, and hardly with fewer consequences than those of other, more famous immigrants. Extinct in large parts of North America since the Ice Age, earthworms began spreading there once again following Christopher Columbus' voyage. Wherever this species appeared in American forests, it changed the landscape, aerating the soil, breaking down fallen foliage and accelerating erosion and nutrient exchange. Earthworms make it easier for some plants to grow, while robbing others of habitat. They take away living space from other bugs, while providing a new source of food for some birds. In short, a forest with worms is a different one from a forest without them. As a result, the earthworm started transforming America. This surprising anecdote is just one of many compiled by journalist Charles Mann in his latest book, "1493: Uncovering the New World Columbus Created," now available in German translation. Where Mann's previous best-seller, "1491: New Revelations of the Americas Before Columbus," focused on the history of the pre-Columbian Americas, he now turns his attention to the changes brought about by Europeans' discovery of this continent. 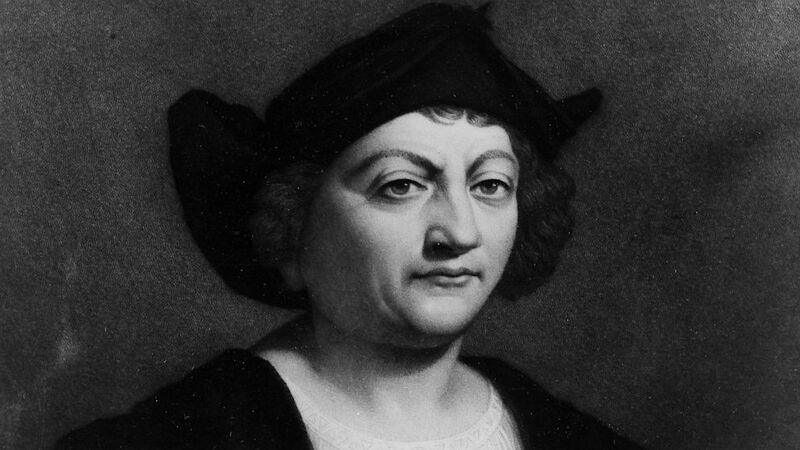 No other person, Mann suggests, changed the face of the Earth as radically as Columbus did. Columbus' crossing of the Atlantic, Mann says, marked the start of a new age, not only for the Americas but also for Europe, Asia and Africa. It was the dawn of the era of global trade. Oceans no longer represented barriers to people, goods, animals, plants and microbes. It was as though Pangaea, the supercontinent that broke apart some 150 million years ago, had been reunited in a geological blink of the eye. Before the ships Niña, Pinta and Santa Maria set sail in 1492, not only was the existence of the Americas unknown to the rest of the world, but China and Europe also knew little about one another. A century later, the world looked very different. Spanish galleons sailed into Chinese harbors bearing silver mined by Africans in South America. Spanish cloth merchants received Chinese silk in exchange, delivered by middlemen in Mexico. And wealthy people looking for relaxation -- whether in Madrid, Mecca or Manila -- lit up tobacco leaves imported from the Americas. Rousingly told and with a great deal of joy in the narrative details, Mann tells the story of the creation of the globalized world, offering up plenty of surprises along the way. Who among us knew the role the sweet potato played in China's population explosion? Who knew that improving agricultural yield with bird droppings as fertilizer began in Peru? Certainly few know what a decisive role malaria-carrying mosquitoes played in the fate of the United States. The author takes his readers on a journey of discovery around the post-Columbian globe. The story begins in Jamestown, a British colony in what is now the US state of Virginia, where a Dutch pirate ship turned up in August 1619 with nearly two dozen black slaves onboard, captured when the pirates attacked a Portuguese slave ship. As it was harvest time, the Jamestown colonists seized the opportunity to buy the slaves. That purchase set the seal on slavery in America. But what the Virginia tobacco farmers didn't realize was that by buying the labor of slaves from Africa, they also acquired the disease these Africans carried in their blood. Plasmodium falciparum, a parasite that causes malaria, now gained a foothold in North America. Attacks of this fever were a high price the colonial farmers paid for their exploitation of African slaves. Mann argues that this had far-reaching consequences. In the north, where the cold climate made it hard for malaria-carrying mosquitoes to survive, he says, European immigrants made for an inexpensive alternative to African slaves. In the American South, however, Caucasians fared much more poorly in the mosquito-infested cotton and tobacco fields. Only the slaves from Africa brought with them a certain degree of resistance. In this way, Mann argues, malaria cemented the system of slavery in the American South. White plantation owners withdrew to their mansions in breezy locations that offered partial protection from the disease, leaving black slaves to toil in the fields. When he first saw a map of malaria's range, Mann says it was as if the scales had fallen from my eyes. That range extends almost precisely to the Mason-Dixon Line, along which the American Civil War broke out in 1861, between the slave-holding states of the South and the Union soldiers of the North. The "Columbian Exchange" -- as historians call this transcontinental exchange of humans, animals, germs and plants -- affected more than just the Americas. In China, for example, the new era began when sailors reported the sudden appearance of Europeans in the Philippines in 1570. The astonishing thing about this was that they had come across the ocean from the east. Until this point, China had shown little interest in Europe, in the belief that its inhabitants had little to offer China's blooming civilization. This time, though, the new arrivals brought something from America that electrified China -- silver. This precious metal was the most important form of currency, in which all business was transacted, during the Ming Dynasty. Thus, in the eyes of the Chinese, the galleons from South America arrived loaded with nothing less than pure money. No wonder, then, that a brisk trans-Pacific trade quickly developed. To the chagrin of the Spanish crown, much of the silver mined in the Andes was delivered not to Spain but to far-away China. In exchange, silk, porcelain and other Chinese luxury goods made their way eastward toward Mexico. Mann uses the example of two 17th-century boomtowns to illustrate the change that gripped the globe during this period. Showy, aggressive and teeming with energy, these cities represented the spirit of a new era. One of them, perhaps the wildest city in the history of the world, was established high in the Andes Mountains. The silver-mining city of Potosí, surrounded by nothing but snow and bare rock, ballooned to the size of London in the space of just a few decades. While fortune-seekers from Europe indulged themselves at the city's high-end brothels, thousands of indigenous people toiled and fought for their lives in the darkness of the world's largest silver mines. Parián, the world's first Chinatown, hardly comes across as less bizarre. Located just outside Manila, Parián quickly grew more populous than the Spanish colonial city itself, as a labyrinth of shops, teahouses and restaurants grew up around a couple of large warehouses. Spanish agents came here to make their deals, and good silver from Potosí could buy almost anything, from leather boots to ivory chests to tea sets. Even skillfully carved marble figures of Jesus as a baby were on offer. For China's rulers, though, this flood of silver proved a curse. The more of the precious metal Spanish galleons shipped to Manila, the more its value dropped. The result: inflation, tax deficits, bloody unrest and, ultimately, the collapse of the regime. The last Ming emperor was succeeded by the Qing Dynasty. American Crops in China But even more than the silver itself, what played a key role in China's fate were three crops that arrived in the wake of the silver -- potatoes, sweet potatoes and corn. These hardy and unusually high-yield non-indigenous plants were able to grow even in soil that would not have supported rice cultivation. These three American crops would transform entire swaths of land in the south and west of the Chinese empire, where the mountainous terrain had seemed unsuited to agriculture because the soil was either already depleted or too infertile to be farmed. The new plants from the Americas, though, transformed once barren land into arable land. With the Chinese government aggressively pushing agriculture, millions established a new livelihood as potato or corn farmers in the mountains. Today, these imported crops from the Andes form a considerable part of the diet of China's billion-plus population. China is the world's second-largest producer of corn, after the US, and by far the largest producer of potatoes. But this agricultural revolution had its downsides, as many mountain forests fell victim to the new cropland. These slopes, now cleared of trees, had no protection against the rain, and mudslides began to occur in many places. The areas around the Yangtze and Yellow rivers were now plagued nearly every year by massive flooding. At China's central meteorological office in Beijing, Mann was able to examine maps that documented how the number and scale of floods changed over the course of the centuries. "Flipping thought the maps … was like watching an animated movie of environmental collapse," he recalls. Increasing contact between the continents certainly led to progress, but it brought suffering and exploitation, as well. There is almost nothing that people haven't had to sweat and die for, Mann writes, adding that his research taught him one thing above all: If we were forced to give up everything that was tainted with blood, we wouldn't have much left. The emergence of modern agriculture demonstrates this dramatically. It all began with discoveries by two Germans. World traveler Alexander von Humboldt was the first to take an interest in the indigenous people who broke stinking chunks off the rocky cliffs where birds perched along the Peruvian coast. Chemist Justus von Liebig then recognized that the resulting powder, thanks to its high nitrogen and phosphorus content, made an excellent fertilizer. Guano, as the local people called this substance made of hardened bird droppings, soon became one of the most significant imported products in the up-and-coming continent of Europe. Mann calculates that the total value of natural fertilizer exports from Peru would equal $15 billion (€11 billion) in today's terms. This time, the Chinese were among the ones who suffered, forced to labor amid the ammonia stench of the guano. A total of around 100,000 Chinese people were enticed to far-away South America under the lure of false promises. Just as Europe's agriculture became dependent on a natural product from South America, so did its industry, as rubber -- whether in the form of car tires, cable insulation or sealing rings for pipes -- became an indispensable part of modern technology. Tapped from the bark of the rubber tree, natural rubber was shipped across the Atlantic in ever greater quantities. No matter how rapidly Brazil's rubber exports increased, demand grew even more quickly and prices continued to climb. But a sudden end to the boom came when South American leaf blight, a fungus, decimated nearly all of South America's rubber plantations. Thailand, Indonesia and Malaysia now became rubber-producing superpowers, replacing Brazil, Venezuela and Suriname. This was possible because of a British man named Henry Wickham, who became something of a hero of the "Columbian Exchange" when he smuggled Brazilian rubber tree seeds out of the country in 1876. Just how easily a second Wickham could come along -- this time spreading not the rubber tree, but its leaf blight, around the world -- became clear to Mann during a research trip, when he found himself standing in the middle of an Asian rubber plantation, wearing the same boots he had worn just months before on a tromp through the Brazilian rainforest. What if a few spores of the fungus were still stuck to his boots? At some point the Columbian Exchange will come full circle, Mann writes, and then the world will have another problem.